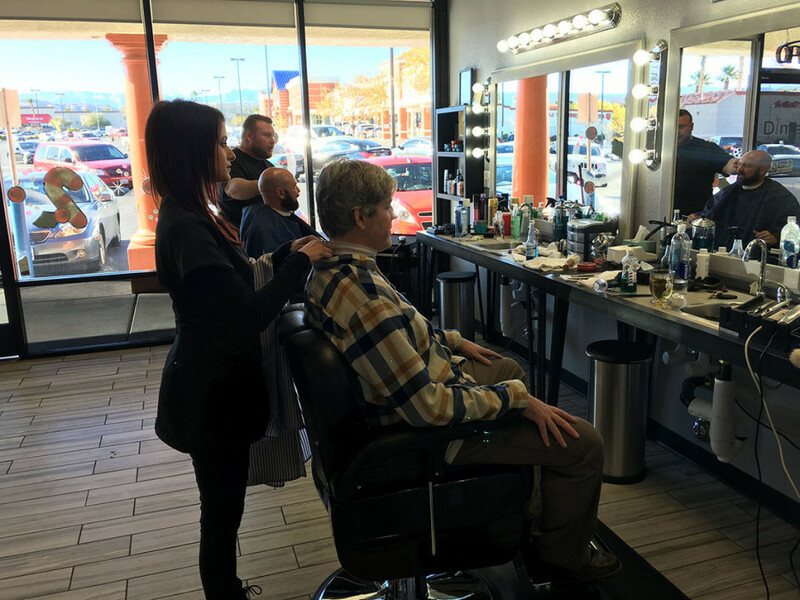 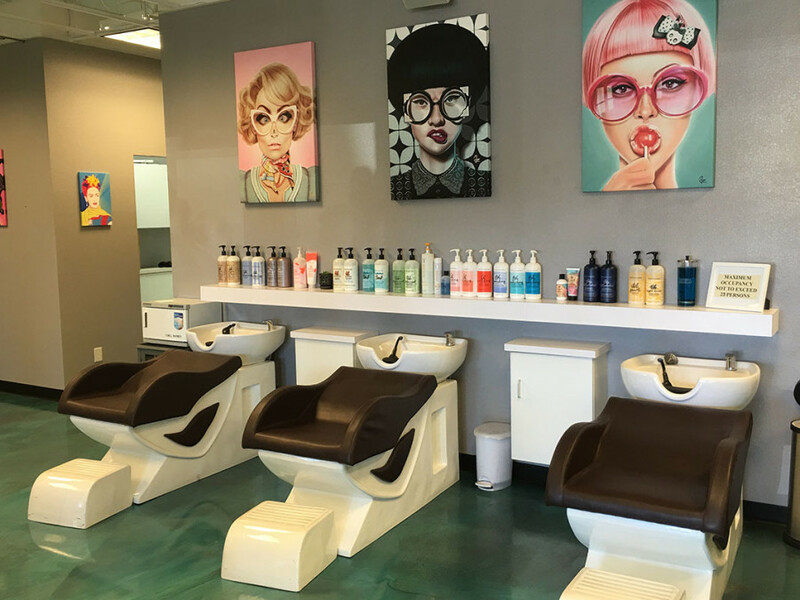 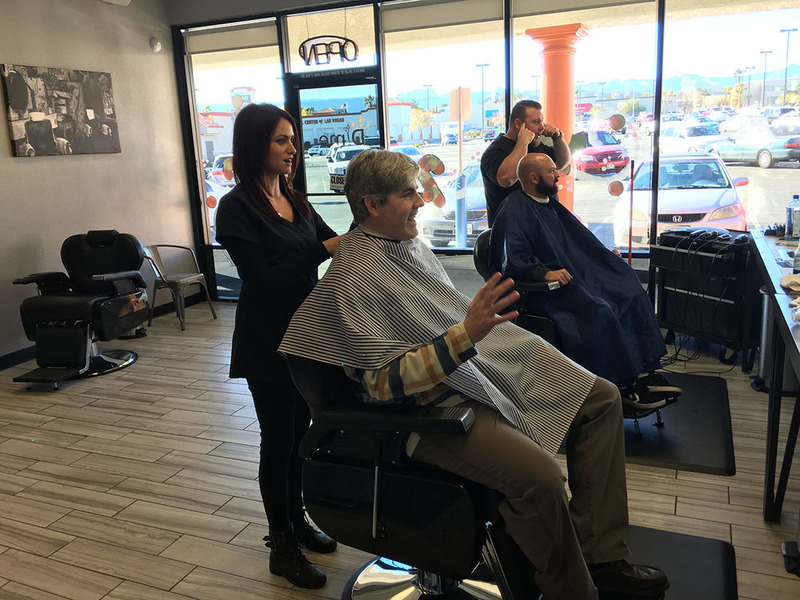 Dime Salon & Barber Shop offers high-quality haircuts, straight-razor shaves, and various salon services in a cool, casual, fun environment. 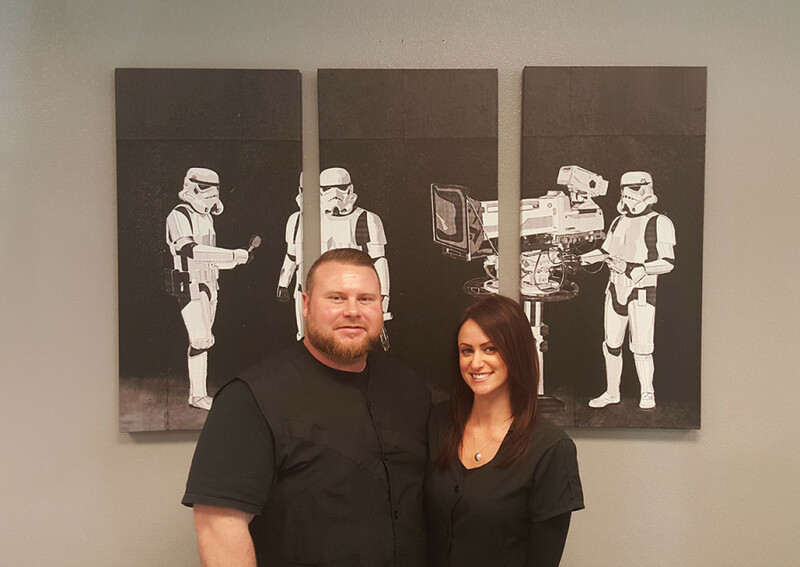 I’ve known Master Barber Ben Orchard for over three years. 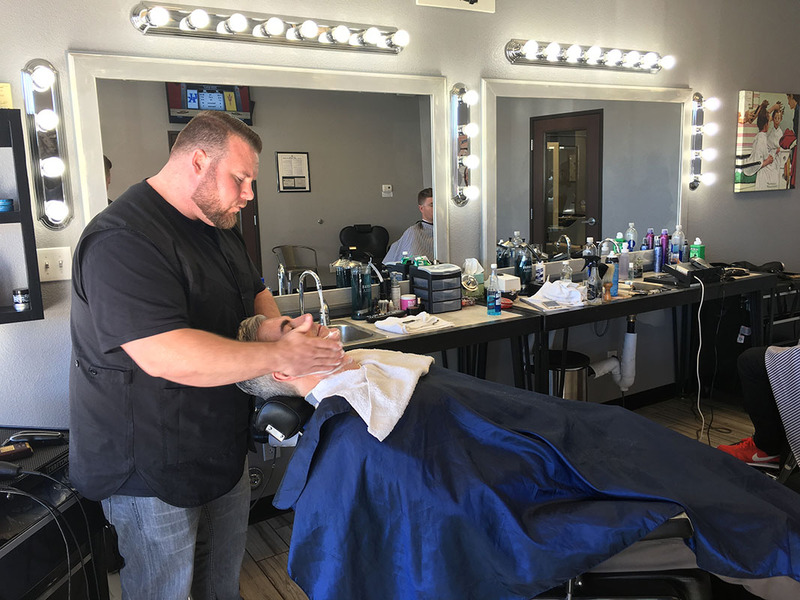 Ben is a genuine, great guy and especially skilled at straight-razor shaves. 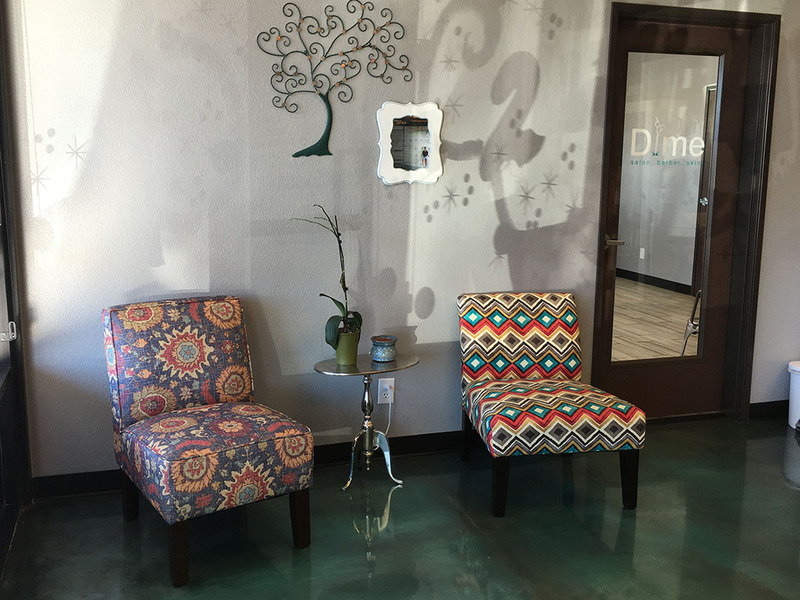 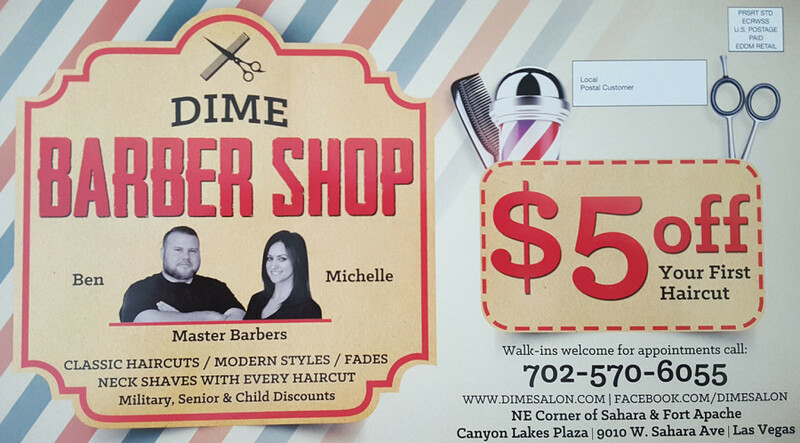 Dime is easy to find, located at the Northeast corner of Sahara and Fort Apache, West Las Vegas. 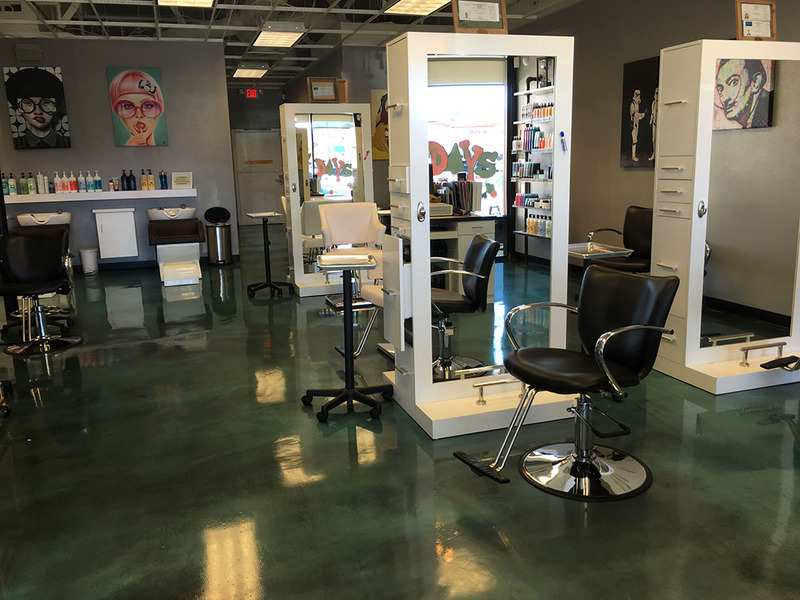 As you can see, it’s spacious and artsy inside! 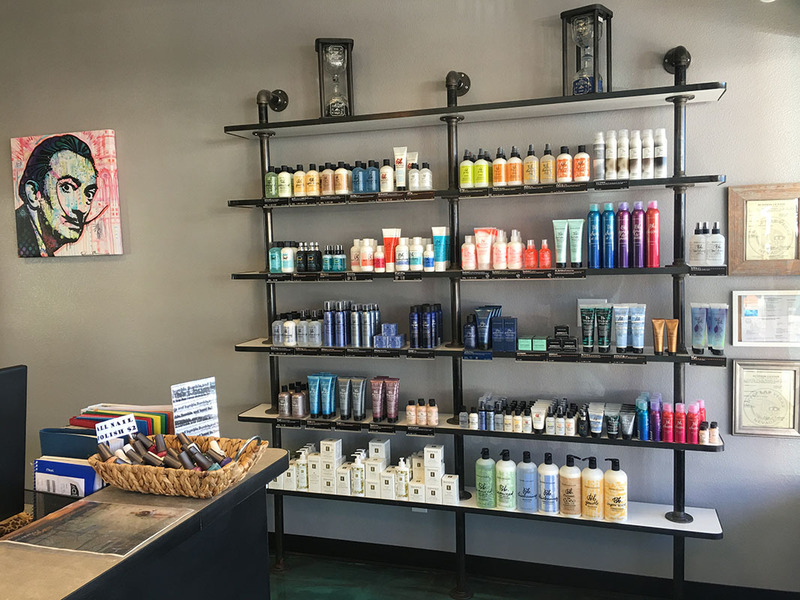 Lots of services, lots of products. 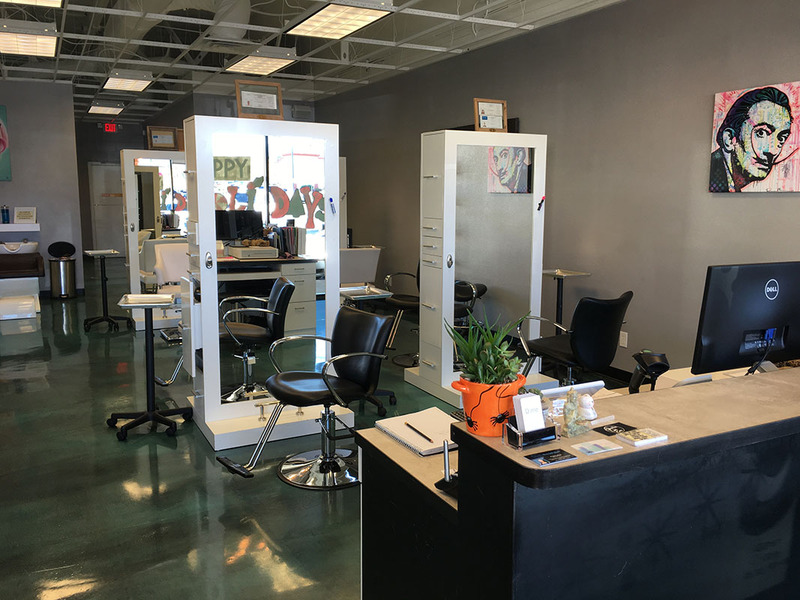 Open Tuesday thru Friday 8:30am – 5:30pm; Saturday 8:30am – 2:30pm. 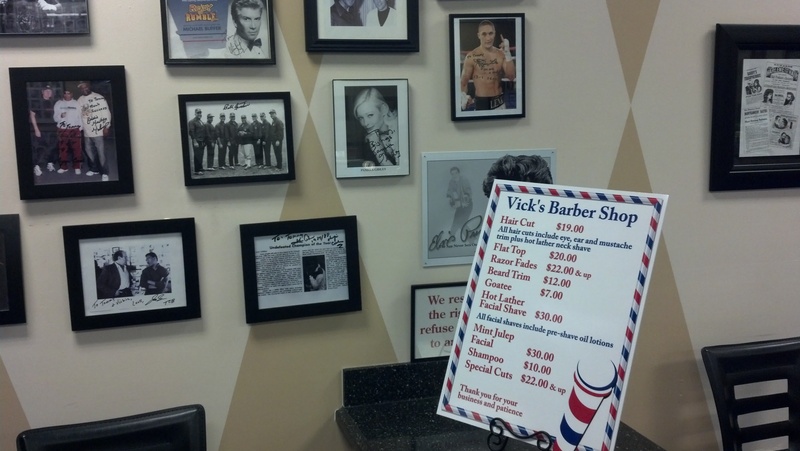 I recently stopped in to see Ben and his new place, plus get a haircut and shave. 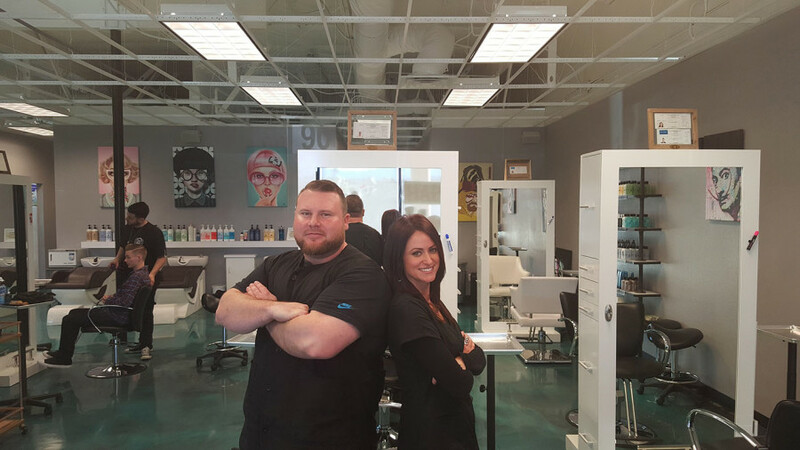 Master Barber Michelle Pancare cut my hair, while Ben wielded the straight razor. 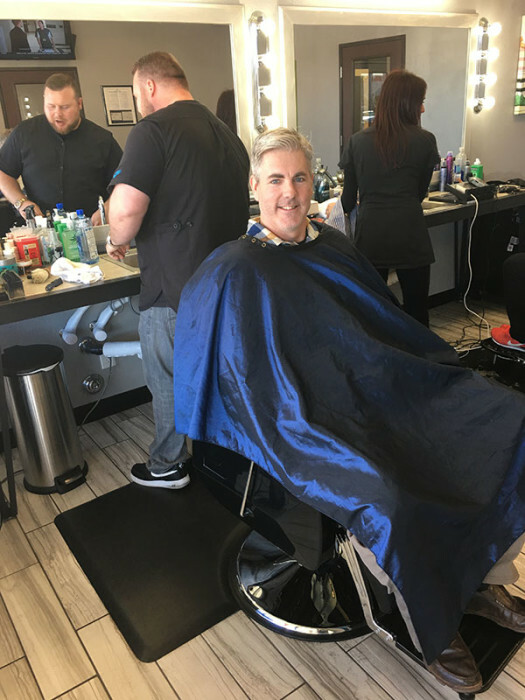 Ben is a focused professional while also ensuring his clients have a great experience. 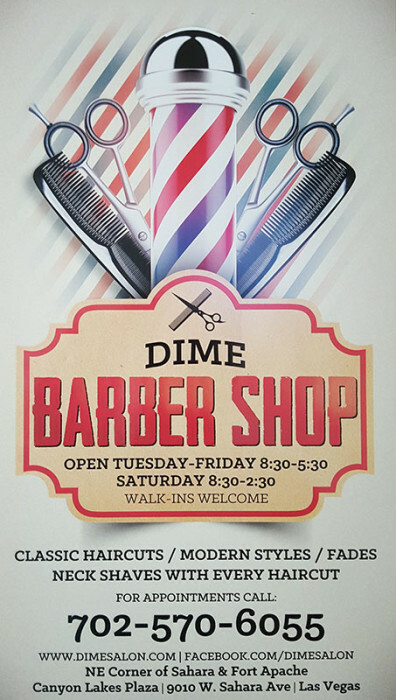 Dime is hip yet relaxed, combining old school with modern style. 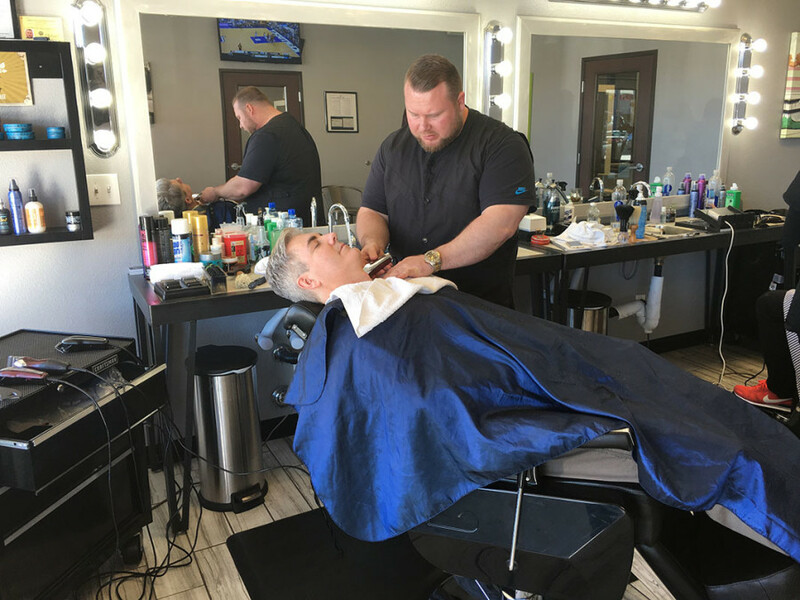 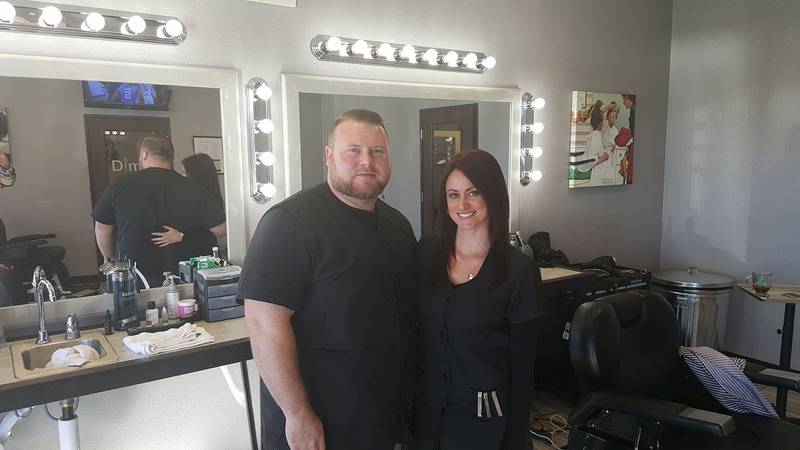 Master Barbers Ben Orchard and Michelle Pancare make a strong professional team, offering a wide variety of premium services.